These B&Bs are located throughout the area in Amsterdam. De Pijp is a welcoming neighbourhood known for its array of dining options and cycling. Here you'll find plenty to visit, including Sarphatipark and Albert Cuyp Market. 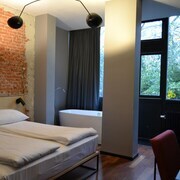 De Pijp's hotels make a great base for venturing out into the greater Amsterdam area. Hotel Okura Amsterdam: 5-star hotel featuring 4 restaurants, an indoor pool and a fitness centre. Our guests enjoy the hotel's comfortable rooms and central location. Adriaen van Ostade B&B: 3.5-star bed & breakfast with free WiFi, 12-minute walk from Heineken Experience. Expedia travellers like this B&B's spacious rooms and helpful staff. Sir Albert Hotel Amsterdam: 4-star hotel with a restaurant, a fitness centre and a bar/lounge, 7-minute walk from Heineken Experience. Our guests rate this hotel highly for its comfortable rooms and walkable location. 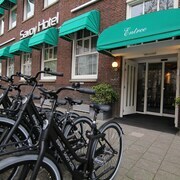 Museum Suites: 3.5-star hotel with free WiFi and parking, 7-minute walk from Stedelijk Museum. Our guests enjoy the hotel's comfortable rooms and helpful staff. 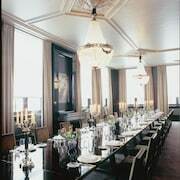 Conservatorium Hotel: 5-star hotel with 2 restaurants, an indoor pool and a health club, steps from Stedelijk Museum. Expedia travellers like this hotel's spacious rooms and helpful staff. 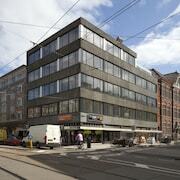 Frans Hals Loft: 3-star apartment with free WiFi, 5-minute walk from Heineken Experience. Our guests rate this apartment highly for its walkable location and local sightseeing. Heineken Experience, Rijksmuseum and Van Gogh Museum feature a variety of exhibits to explore while you're in De Pijp. Sarphatipark and Albert Cuyp Market are some other sights worth a stop when you're in the neighbourhood. If you want to explore some other parts of town while you’re here, consider a visit to the nearby neighbourhood of Museum Quarter to visit Stedelijk Museum, Van Gogh Museum and Concertgebouw. Think about a stop by Rijksmuseum, Leidseplein and Heineken Experience during your stay.